I have been pinning quiet book ideas for some time -- although my board is actually not that full. 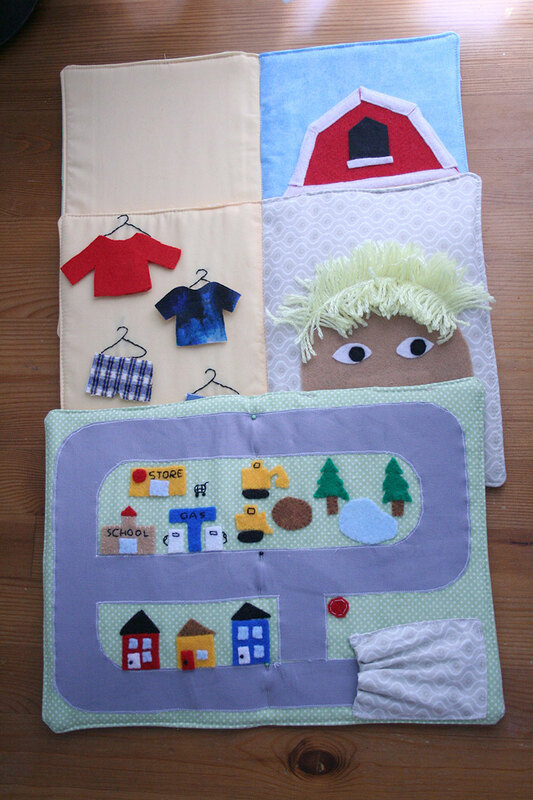 I like the idea of making something entertaining and educational out of fabric. I finally decided to make one because the kids and I will be flying across the country in a few weeks and I wanted to have something to bring to entertain the little guy other than videos, since his attention span for videos is not that long. I will probably bring a few small toys, but toys on the plane could cause problems if he throws them or bangs them on the tray. 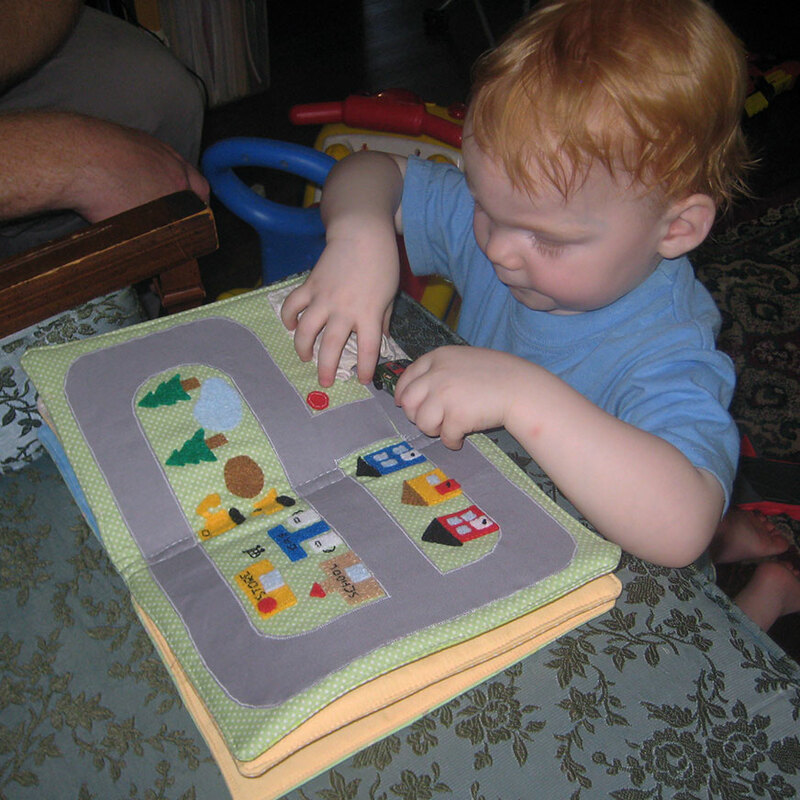 A quiet book is a good solution because it is soft and doesn't take up a lot of room but can contain a lot of activities. My little guy loves cookie monster and also is in to pretending to eat and pretending to feed people, so he loves this page. I based the design on this free template by Shari B of Doohikey Designs for Riley Blake. Instead of her monster though, I used cookie monster. 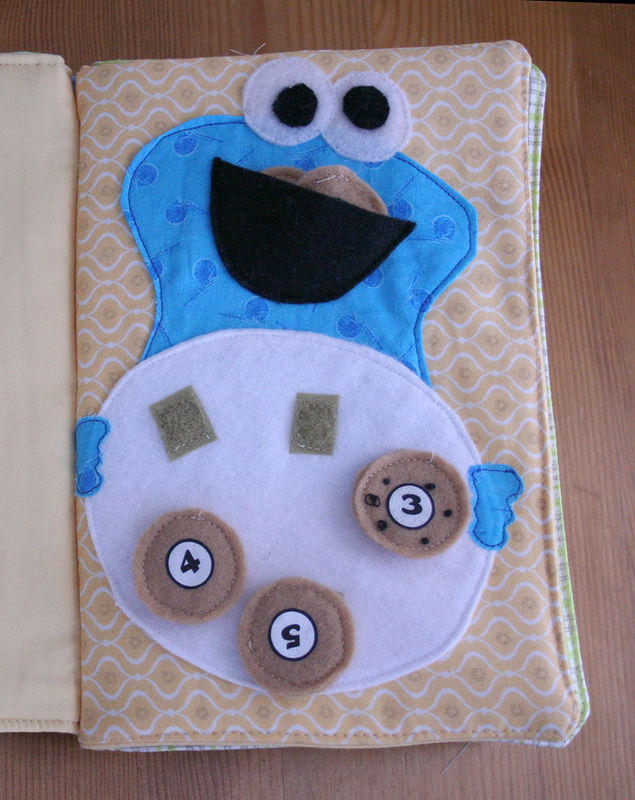 I found an image of cookie monster online, printed it out and traced it to make my pattern. I used the dress up doll template from Serving Pink Lemonade, which was actually the source of a lot of my inspiration for this quiet book (her complete quiet book is here). I made long and short pants and tees by cutting the clothing shapes out of scraps of actual fabric I have used for the kids clothing and fusing them onto felt pieces cut to the same shape to which I had sewed velcro. On the closet page I embroidered little hangers for each item using a backstitch. On the doll side, the words are iron-on transfer paper again. I was inspired by this city page from Imagine Our Life and this Road Map page from Serving Pink Lemonade and kind of did a combination of the two. 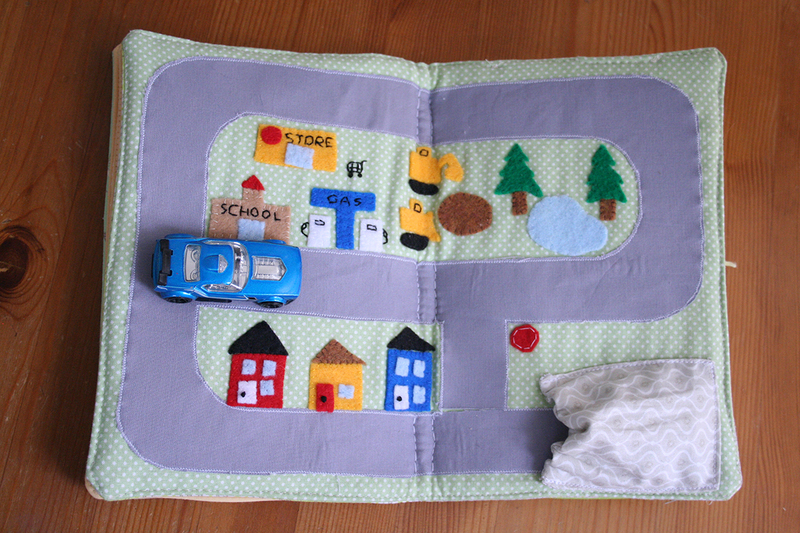 I made the roads the exact width of the little car I wanted to include with the page and fused them on with wonder under and then sewed a zigzag stitch along the edges with white thread to represent the white lines on the sides of roads. I made a pocket to keep the car in with elastic at the open end so it won't fall out. All the buildings and other objects were cut out of felt and sewn on by hand. Details were embroidered on. 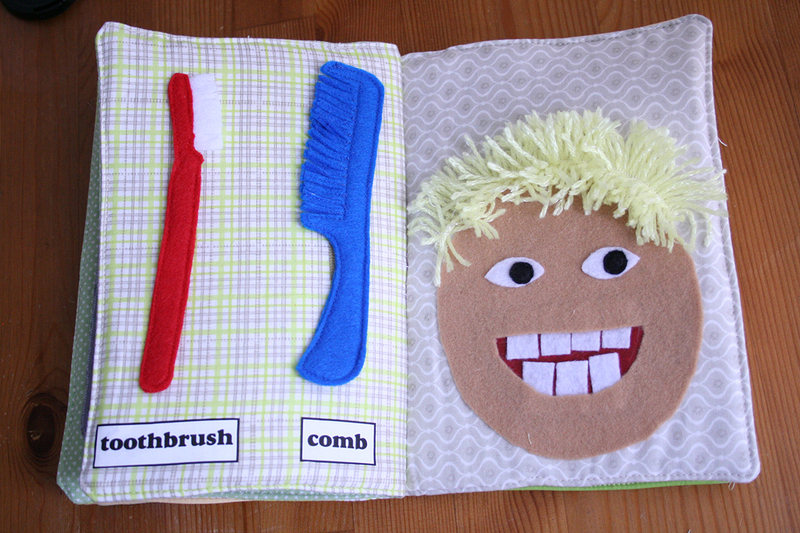 The next two pages have a guy with hair and teeth and a toothbrush and comb to brush his teeth and comb his hair. I used clipart for the shape of the toothbrush and comb. 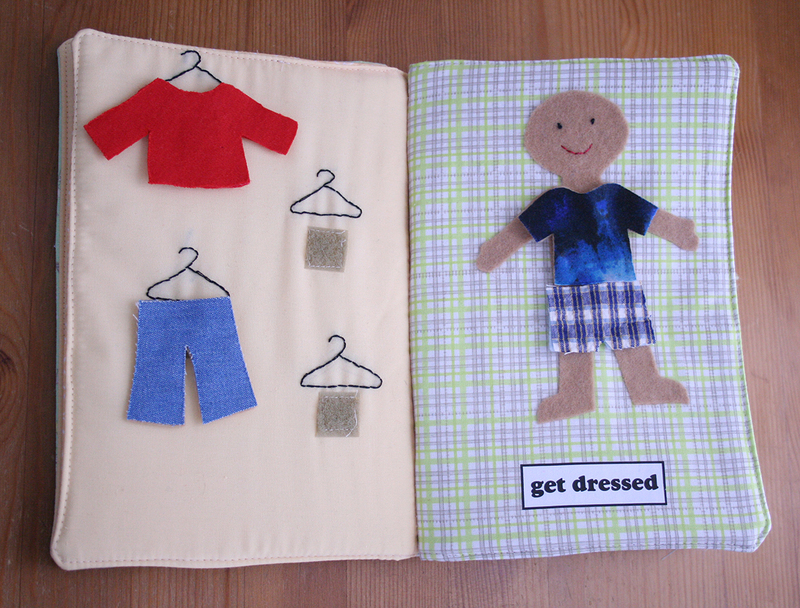 Each is made with two layers of felt sewn together for a little more stability. For the toothbrush I sandwiched a couple small rectangles of white felt in between the two layers of red felt where the bristles belong and sewed it together, then cut the white felt into strips for the bristles. For the teeth of the comb I sewed lines about 3/16" apart and then cut between them. Each shape is two pieces of felt sewn together with velcro on the back. 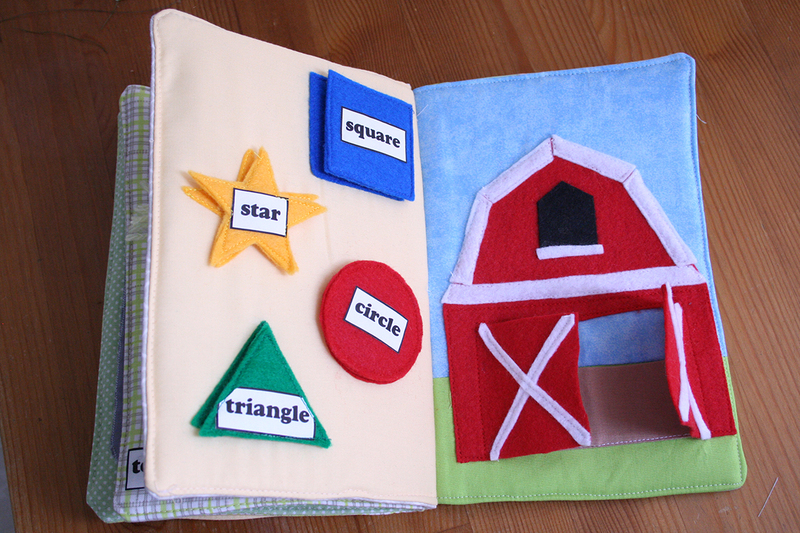 A third felt shape is sewn on to the page so that we could make a matching game by removing the shapes and then putting themm back in the appropriate spots. The barn page is also from Serving Pink Lemonade (template here). I intend to make the animal finger puppets to go inside the barn as well, but I needed a little break from this project as it was very time consuming! 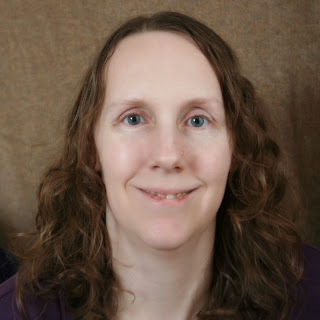 For the construction of the book, I had sewn all the elements onto my quilting cotton pages first. Then I sewed the pages together in pairs such that the first page is sewn to the last page and then the second page is sewn to the second to last page and so on. The middle two pages (the road page) were already one piece of fabric. Then I sewed pairs of pages right sides together with a piece of cotton batting on the back of each page, leaving a three inch gap for turning. I then inserted two pieces of plastic canvas slightly smaller than my finished page size into the opening - one for each side, leaving an approximately 1/2" gap in the middle of each page set. I ended up with three page sets, which I then stacked on top of eachother and sewed together by hand using a double thread. 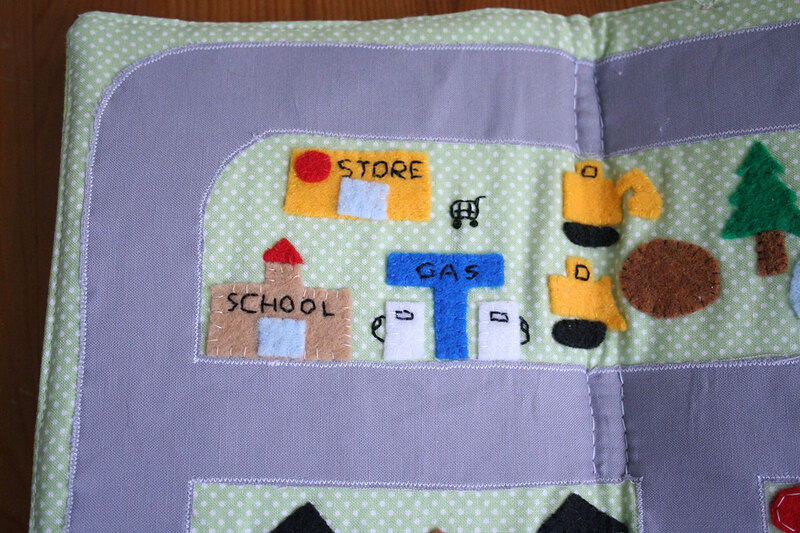 I sewed the pages together using two lines of white thread on the roads (as you can see in the detail of the road page above), so that my stitching could also serve as crosswalks for the roads. For this method of assembling the book, I don't think I could have added any more pages as it is already quite thick. Thanks! I love the Cookie Monster too! Followed you back and pinned your monkey - very cute! I need to make one for my nephiew: he will love it!!! Thanks! The book was actually a lot more work than I expected, with all the little pieces and hand sewing but definitely worth it! Such a cute quiet book! My son would LOVE that car page! Thanks! The car page is my favorite too, but it was a lot of work! 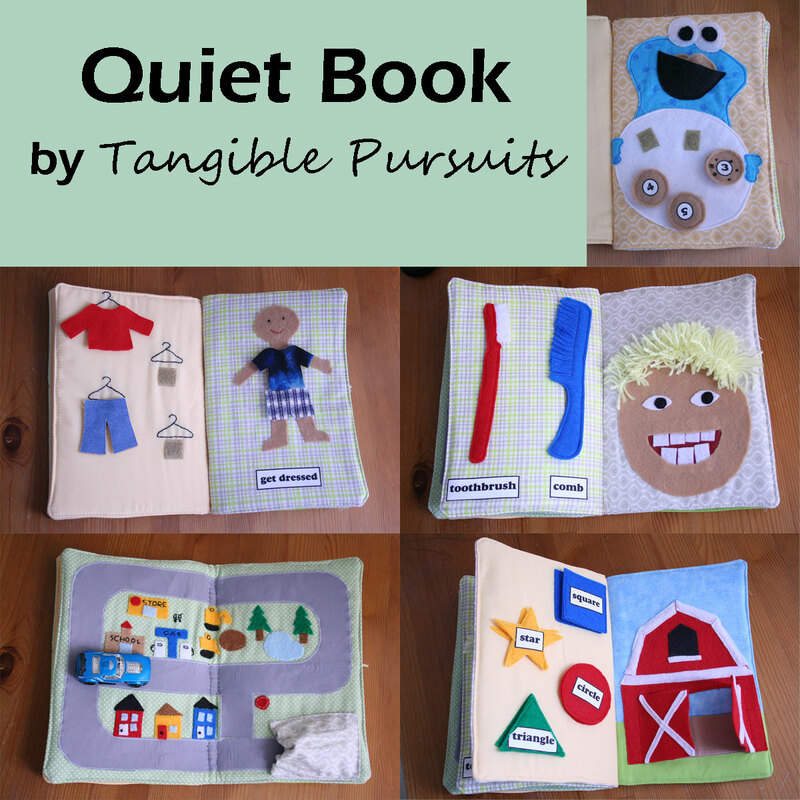 I've been contemplating making some quiet books for a while, too. You've done a great job! I love the garage on the road page! My little guy loves the garage too - the other day he stuffed the toothbrush from one of the other pages in there and then he had the car try to go in and say "oh no, there's no room!" Super cute! I love the cookie monster page! I love it, I'm hoping to make one of these for my son this Christmas!